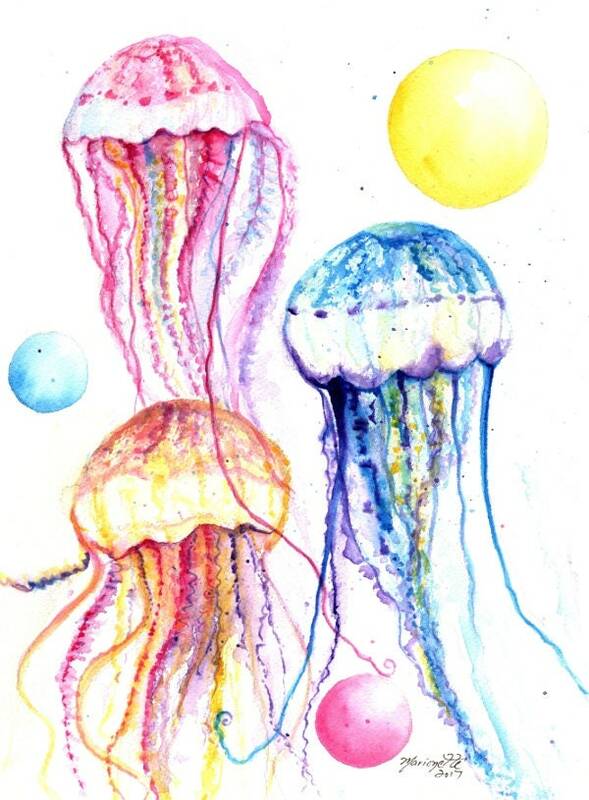 This colorful jelly fish print would look lovely in a child's room or nursery. It would also make a great gift for a baby shower. "Rainbow Jelly Fish" This giclee print is signed by the artist and printed with archival inks on radiant white watercolor paper. It is a reproduction of an original watercolor painting and comes packed in a clear sleeve with a backing board (unframed). Colors may vary slightly from monitor to monitor.